In this last episode of season 2, we talk about first times, uniqueness and being kind to ourselves. Samuel met Ronan at 17 and after a first date in the cold November in Glasgow, he embarked in his very first emotional adventure. Every single thing was new to him, and over the following two years, the learning curve wasn’t always a walk in the park. Share that episode on social media and please rate the podcast on iTunes. In this episode, we question why we are or are not in relationships, social pressure, and where to set our limits. Abi met Scott when she was only 19 and he was her first real boyfriend. Very quickly though, he proved to be a difficult person to be with because of his jealousy and abusive behaviours. Please be aware that some listeners might find parts of this interview upsetting. This is the second part of Louise’s story, in which we talk about perspective, being cheated by love and things we can’t fix on our own. Once again, some listeners might find certain parts of this interview upsetting. In this episode, we talk about the many meanings behind the word love, what we accept in the name of it and unfortunately abusive relationships. 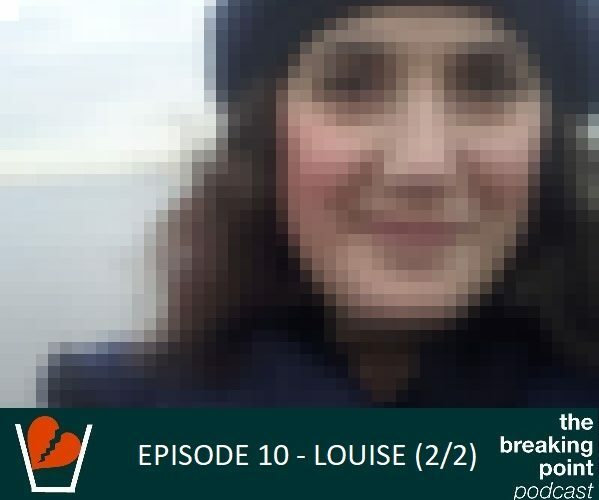 This is the first part of a double episode dedicated to Louise’s story. Louise reconnected with an old flame 16 years after school and thought that he was the one. Pretty quickly though, the varnish started to peel and she went through terribly difficult moments. Before the new episode comes out on the 17th of July, here is an extract of Louise’s interview. In this second episode, we talk about shame, vulnerability and trust. Kristin worked very hard to keep her relationship with Justin. At times, Justin worked very hard as well. Their love was stronger than the thousands of miles that separates Australia from the UK. Unfortunately when things got supposedly easier, that’s when they became more complicated. Share that episode on social media and please rate the podcast on iTunes! 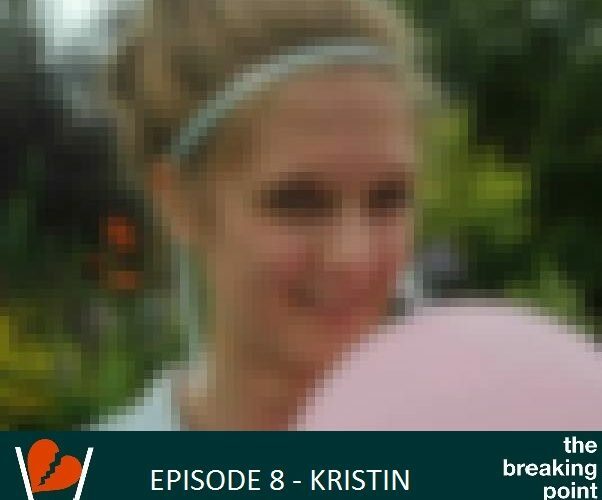 Before the new episode comes out on the 3rd of July, here is an extract of Kristin’s interview. 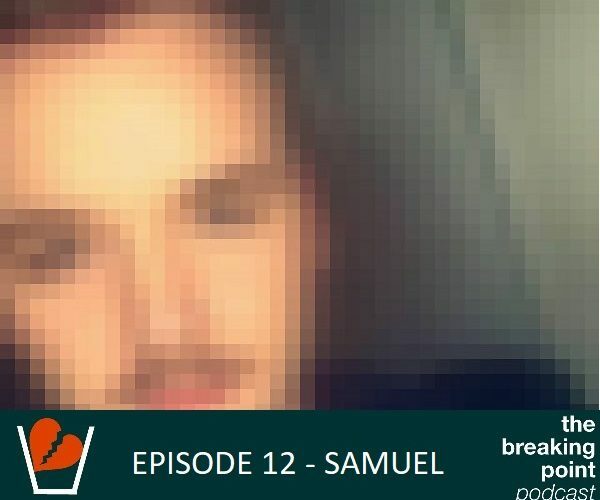 Welcome to season 2 of The Breaking Point podcast! In this first episode, we talk about love, longevity, the value of time and its impact on relationships. Rebecca met Will at university and always had an eye on him… When they moved in together years later as friends, the nature of their relationship changed… within the first few weeks. 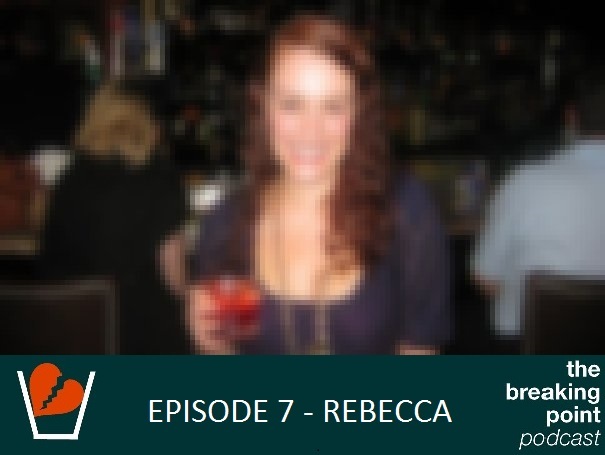 Before the new episode comes out, here is an extract of Rebecca’s interview. 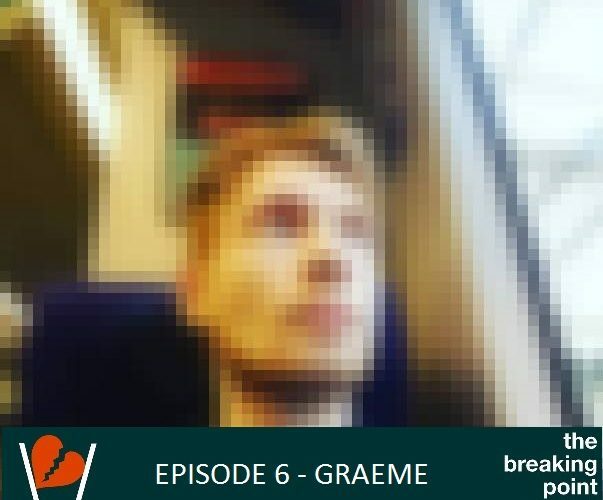 At college, Graeme got in a relationship with Suzy – even if she thought he possibly was a bit too daft for her… They spent the next 4 years together. At the age of 19, Mark met his first love, Karen. It was only a matter of days before this young love became mature and very serious. Yvonne’s story starts with a kiss in a dorm in the countryside of France. Danny was everything she’d ever wanted in the perfect context for her adventurous nature. University is a place where lots of people find their first loves. The freedom, the busy social life, the new lifestyle – sometimes far away from home – is the perfect context to fall in love, whether it is because we want it because we need it. One night in St Andrews, Mick ordered a few drinks to find the courage to kiss Felicity. A pretty common beggining for a relationship that was all but ordinary. Kirsty’s busy life in London lead her to meet a bold and successful guy named Tommy. Seduced by his charms, confidence and tenacity, she got into a relationship that started fast and furiously. 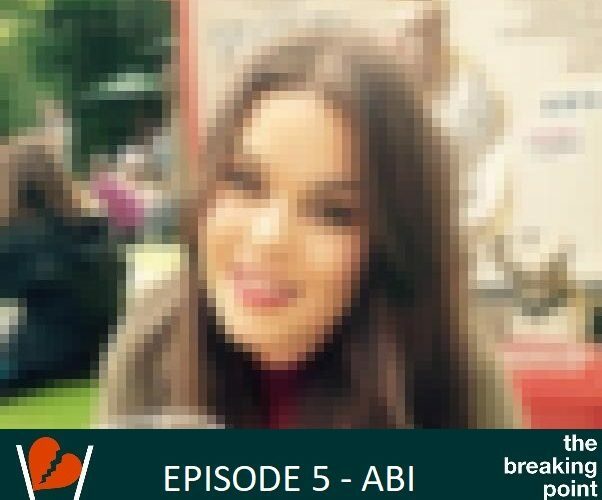 This is the first episode of the Breaking Point podcast. One day, Sarah meets Steven and after he fed her a chocolate strawberry (nice move), their story began. Unfortunately, there was something in Sarah’s blind spot; something that, eventually, will split them up.